Kitchen hygiene is a particularly sensitive area, all appliances and surfaces need to be kept clean to the appropriate commercial standards. 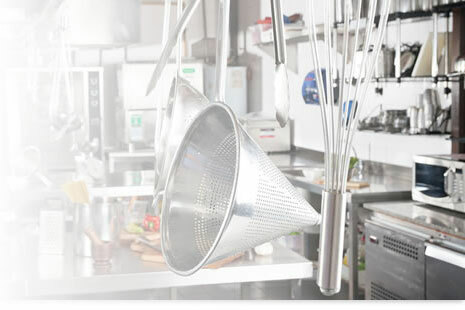 George Benson Ltd offer scheduled periodic and emergency cleaning services that meet the hygiene requirements. Cleaning Extractors, ducting, cookers and food areas requires specialised techniques and materials. We normally manage these types of operations out of hours to avoid disruption to business. Extractors can pose a potential health hazard if not cleaned correctly, the accumulation of grime on the filters and casings also affects performance of the unit which ultimately leads to inefficiency and higher utility costs. Appliances – Cookers, Microwaves, Fridges, Kettles and Freezers.